This book is a Limited Edition - 500 Copies - Each book is numbered and autographed by the author. In the late 1960's, American Motors introduced the Javelin. This machine made its debut into the racing world, guided and developed by none other than Ronnie Kaplan. The first part of this three part book is a remembrance of that time by fellow Javelin lover, Ray Larson. 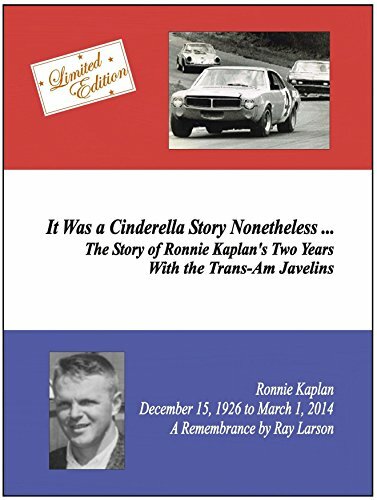 In 1967, Larson was a laborer on a construction job when in a chance meeting, he asked Ronnie Kaplan a one sentence question about what he thought his chances were racing the Trans-Am Javelins. Ronnie answered with a one sentence observation. Larson had a second chance meeting … but it was 45 years later. At that meeting, Ronnie was able to tell him ... how it all turned out. This first part of the book is that story. It's a story that is partly a tribute to, and partly a vindication of Ronnie Kaplan, and to a lesser degree American Motors Corporation. 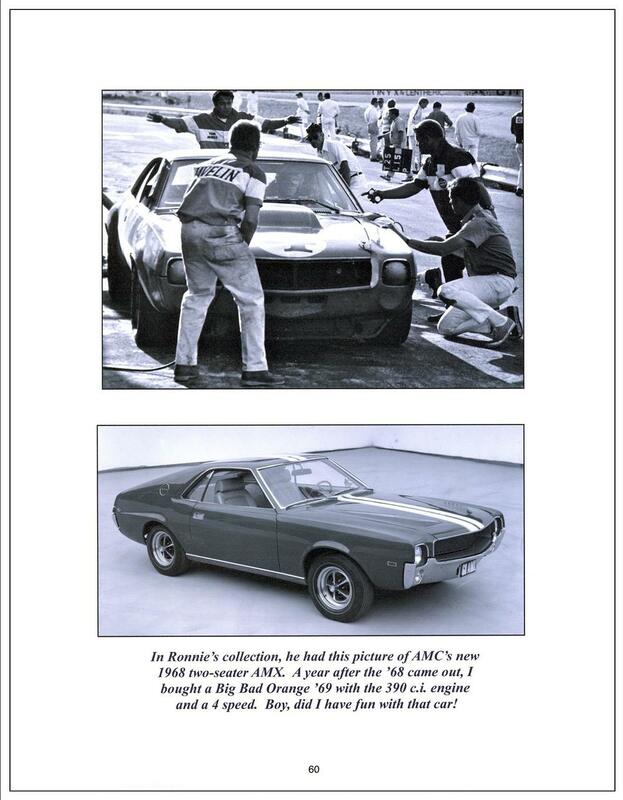 It poignantly talks about "what could have been," both for Ronnie and for American Motors. The second part contains photos from Kaplan's albums, press releases, race results, and some vignettes about Kaplan and his team.